Fear not, however—here are 15 natural ways to get these pesky invaders out of your home for good. 1. White vinegar mixed with water will deter ants wherever it’s sprayed. Bring a bottle along on outdoor trips to keep picnic spots and children’s play areas ant-free. 2. 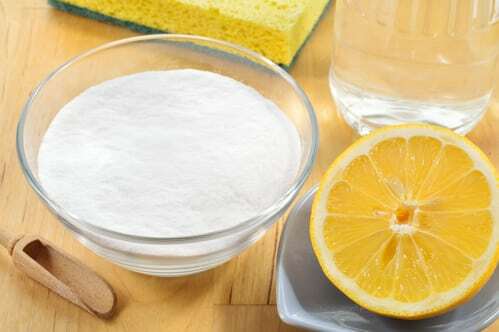 Lemon juice can be squirted on windowsills, in cracks, and any other in gaps the ants might be coming in from. If you’re out of lemons, an orange that’s been placed in a blender can sometimes do the trick. 3. 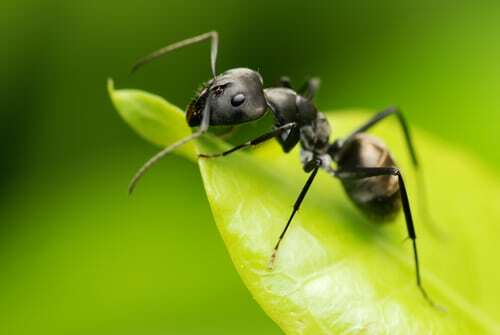 Cayenne pepper, spread along baseboards, countertops, and windowsills, will sometimes work on ants. You can also pour some straight into the anthill. Fire in the hole! 4. Borax, which can be found in the laundry detergent aisle of most grocery stores, can be mixed with pretty much anything to make a homemade ant trap. Powdered sugar is a great option; if you don’t have any, you can try maple syrup, jelly, or honey. Put the mixture into a tiny container, like a bottle cap, and stick it directly in the ants’ path. 5. If you have pets or small children who might knock over your trap, try the cotton ball method. Mix the borax/sugar combo with water, then use cotton balls to absorb it. Place them directly in the ants’ path. 6. Peppermint is another substance ants hate. You can put a few drops of peppermint on a cotton ball, or stuff mint leaves into cracks and crevices around the house. 7. Talcum powder will kill ants, because it messes up their antennae and stops their eggs from opening. Gold Bond and most baby powder brands will work—just make sure that what you use has actual talc in it. 8. No talcum powder? Try cream of tartar. 9. Cornmeal is a great all-natural, non-toxic way to kill ants if you have pets or small children. It works because ground corn acts as a dehydrator, absorbing all the water in the ants’ bodies once they eat it. Grits work just as well. 10. Vinegar and baking soda can make a mixture that fizzes out an anthill. You’ll remember from your middle school science class that you don’t want to mix them beforehand—instead, pour vinegar into the anthill, add the baking soda, and stand back. 11. Chalk repels ants because it’s made of calcium carbonate, or the ground-up and compressed shells of marine mammals. Try drawing a chalk outline around places you want to protect, like the cookie jar, to create an ant-proof barrier. A lot of commercial chalk is synthetic, however, meaning it lacks calcium carbonate and won’t work. 12. Tape can also make a successful moat around areas you want to mark off. Place it sticky-side up, and it’ll trap any ant that tries to wander across. 13. If your yard has an anthill you want to get rid of, turn a flowerpot upside-down over it. Then pour boiling water in through the hole to flush ‘em out. 14. Going on a picnic? Stick a plastic Tupperware container underneath each leg of your picnic table, and fill them with water. Ants won’t be able to cross the water, crawl up the legs, and take a bite out of your potato salad. 15. 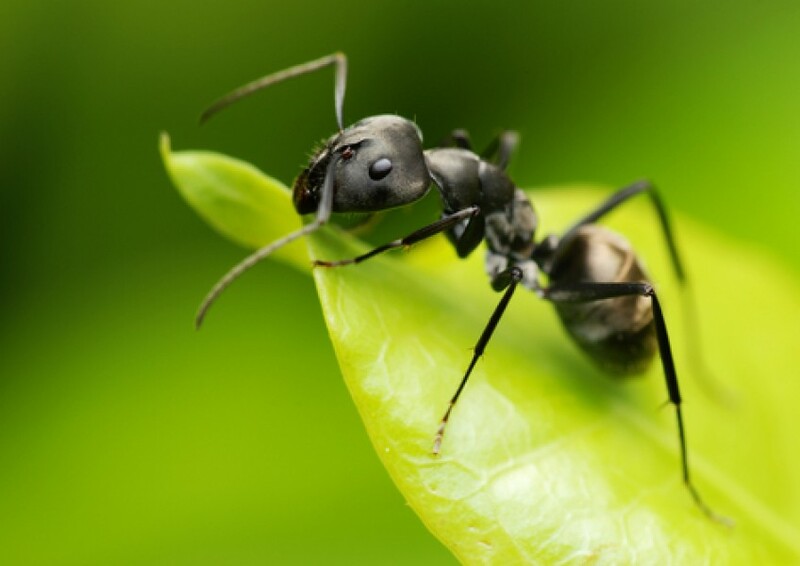 Food grade DE, which stands for Diatomaceous Earth, is extremely effective on ants. It is completely natural and organic, made from tiny remains of algae-like plants. Make sure not to get the DE that is sold for swimming pools—it has a different make-up. Hopefully, one of these results will work and you will be able to enjoy an ant-free home once again. For tips on how to get rid of mosquitoes or stinging insects that might bother you this spring, check out our other blog posts, and be sure to call Slatter HOA Management if your community needs help managing its landscaping and pest control.